The chief minister is undergoing treatment and her condition is being carefully monitored by experts at hospital’s critical care unit (CCU), a statement released by the Apollo Hospital said. Tamil Nadu chief minister J Jayalalithaa, who suffered a cardiac arrest on Sunday, continues to be very critical, Apollo Hospital admistration said on Monday. A spokesperson from the hospital said that the CM is on extracorporeal membrane oxygenation (ECMO) and other life support systems. 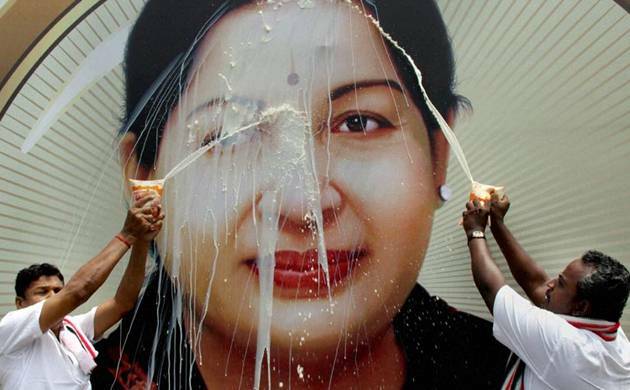 He said that Jayalalithaa's health is being closely monitored by a team of experts. The ECMO, also known as extracorporeal life support (ECLS), is an extracorporeal technique of providing both cardiac and respiratory support to persons whose heart and lungs are unable to provide an adequate amount of gas exchange to sustain life. Jayalalithaa was readmitted to the critical care unit of Apollo Hospital after suffering a cardiac arrest on Sunday evening. Tamil Nadu governor C Vidyasagar Rao also visited the hospital and stayed there for about 10 minutes. Jayalalithaa had spent the last three months at the same hospital due to a prolonged lung infection. Thousands of supporters of the chief minister gathered outside to pray for her well being. CRPF teams put on high alert in view of Tamil Nadu Chief Minister #Jayalalithaa suffering cardiac arrest.